Clyde Smyth (1931-2012), who was named Santa Clarita Valley’s Man of the Year in 1992, probably touched more lives in the Santa Clarita Valley than any other person in modern times. He was a prominent leader in the city, school system, youth clubs and health care fields for more than 37 years. A native of Pasadena, Clyde served in the army during the Korean Conflict, received a doctorate in Education from BYU, and worked in the Pasadena School district in the ’50s and ’60s, before becoming principal of Placerita Junior High in 1969. In 1971, Clyde and his wife Sue moved to Newhall. In 1974, he took the helm as Superintendent of the Hart School District, a position he held for 18 years. During his 37 years in the community, Clyde Smyth was active in SCV Rotary, the Boys Scouts of America and Henry Mayo Newhall Memorial Hospital. He chaired the Heath Care Association, was president of the SCV Boys & Girls Club’s Board, and also co-chaired the club’s capital campaign. 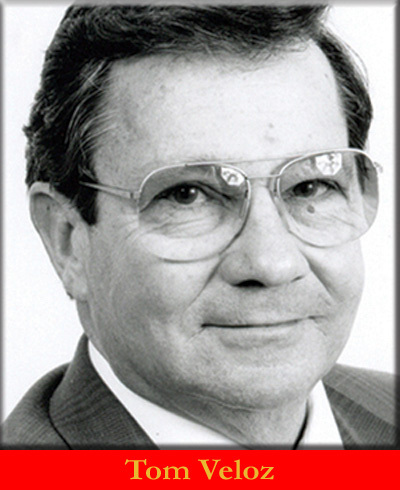 Among Dr. Smyth’s most notable achievements was being elected to the Santa Clarita City Council in the mid-1990s, serving as our city’s mayor in 1997. Afterward, Clyde continued to serve the community as a volunteer and officer of the SCV Boys & Girls Club, with SCV Rotary, and as a special assistant to U.S. Rep. Howard “Buck” McKeon. His family includes a number of high achievers. His wife Sue is a retired teacher of the Newhall School District; his son Colin is a major in the U.S. Air Force; and his son Cameron was a city councilman and former mayor of Santa Clarita before representing our valley in the California State Assembly.